Pure creative endeavors require tools that offer freedom- and precision. Luckily, you've come to the right place for both. Just tell us what you're looking for and we'll introduce the ideal machine. Original IDT System- Integrated Dual Feed from PFAFF. The ultimate in piecing perfection. Perfect seams on all fabrics. - Perfect seams on all fabrics, from light to heavy weight. The time-tested PFAFF Original IDT System guarantees the optimal feed you expect on kinds of fabrics. Everything stays in place. Lightweight and silky fabrics don't pucker; stripes and plaids match perfectly; curved seams are easy, with very little pinning required. The Original IDT System is exceptional for grasping and feeding small fabric pieces, with maximum precision and professional results. Your PFAFF sewing machine effortlessly moves from a single layer to multiple layers and even sews over bulky seams with no hesitation. We offer same day machine service by appointment only. If you bought your machine from us and have to leave it for repair, we can send you home with a classroom machine until yours is repaired. Now is the ideal time to turn the ordinary into the extra- ordinary. 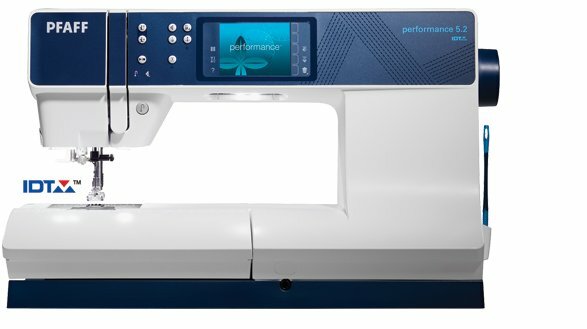 The PFAFF creative 4.5 sewing and embroidery machine offers a range of impressive features and creative possibilities, as well as incredible diversity of designs. Let one thing lead to another as you combine designs and then turn them into an infinite number of stunning creations with kaleidoscope effects. All you need to do is unleash your individuality and creativity to ignite the exclusive technology of the PFAFF creative 4.5 sewing and embroidery machine. Are you ready to make an impact? I'm always searching for inspiration, new skills to master, and opportunities to express my own personal style. I need a sewing machine that meets my needs today with potential to expand my creativity in the future. I love embroidery and the almost limitless possibilities it represents. My perfect machine: PFAFF creative 3.0- Challenge you imagination! Make an impression and go bold. You are unique! Why not express that in a way that truly reflects your personality and makes you stand out? With the PFAFF creative 1.5 sewing and embroidery machine it is easy and exciting to create one of a kind designs with a stylish twist. By using all the great advantages from the machine and the Embroidery Intro PC software you'll see your visions come true, stitch by stitch. So, let's go spectacular! Through my passion for sewing I reveal my true self. Beautiful fabrics inspire me to let imagination run free. My creations show my love of detail and my desire to achieve professional-looking results. I need a sewing machine that delights me- one that offers room for new ideas and possibilities. Are you searching for new inspiration, the highest level of precision, and modern technology? You will find all of this and more in the expression line sewing machines fro PFAFF. All it takes is one look at its unique design to understand that it is a sewer's dream. With it's exclusive features, it fits perfectly in the new generation of PFAFF sewing machines. Are you searching for new inspiration, the highest level of precision, and modern technology? You will find all of this and more in the new expression line sewing machines from PFAFF. All it takes is one look at its unique design to understand that it is a sewer's dream. With it's exclusive features, it fits perfectly in the new generation of PFAFF sewing machines. 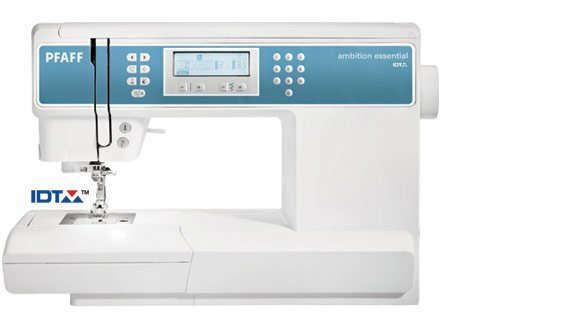 Discover the PFAFF ambition line sewing machines and feel the difference that makes these models truly stand out. Behind the clean lines you find the most modern functionality. The original IDT System and the large high resolution touch screen- these are unique features compared to leading brands in this price range. Discover the PFAFF ambition line sewing machines and feel the difference that makes these models truly stand out. Behind the clean lines you find the most modern functionality. The original IDT System and the large high resolution touch screen - these are unique features compared to leading brands in this price range. 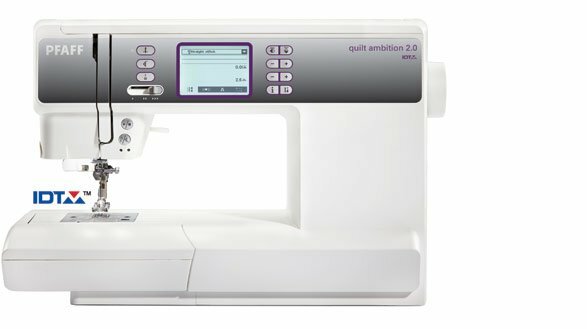 Discover the PFAFF ambition line sewing machines and feel the difference that makes these models stand out. Behind the clean lines you find the most modern functionality. The original IDT System and the large high resolution touch scree - these are unique features compared to the leading brands in this price range. Perfect for small spaces & going places. 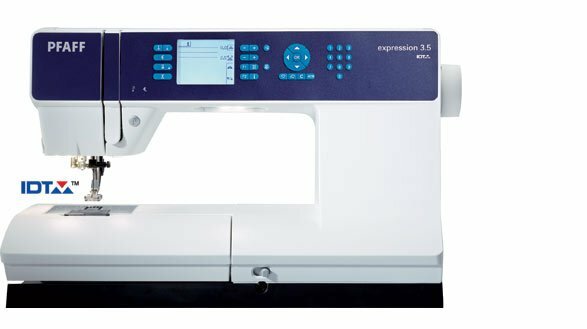 Whether you are seeking a sewing machine for a small space of one perfectly designed for travel and classes - this is it. Whatever the journey, the PFAFF passport line sewing machines are ready. Are you? 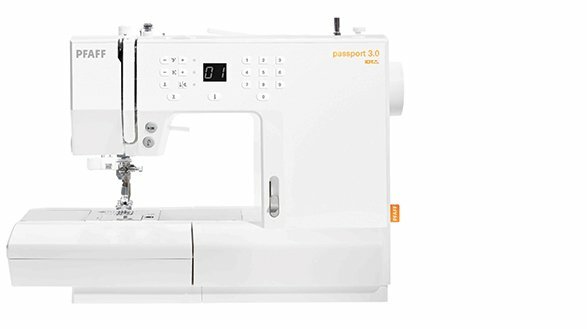 With best-in-class features and reliable stitch results, we are confident that the PFAFF passport line sewing machines will exceed your expectations for a lightweight, compact sewing machine. What are you waiting for? Get ready to explore a new sewing companion packed with PFAFF features. Perfect for small places & going places. Imagine a sewing machine compact enough to whisk away to a sewing class or fit in your book shelf. Now, imagine this same machine is chock-full of features designed to meet the high demands of the PFAFF sewer. 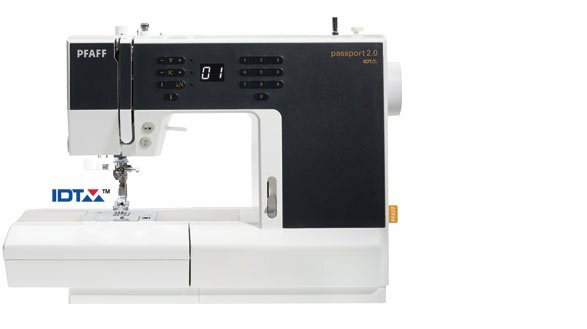 The PFAFF passport 2.0 sewing machine is specially designed for small spaces, as well as going places such as classes, retreats, or any sewing journey. It is your license to venture out in the world and discover new ways and new places to sew! No limits! Just freedom. Feel the need to sew? The select line is ready to go! It's perfect for anyone who needs a versatile sewing machine, with a modern look and a very practical features. Plus, all three models in the select line are so easy to use! 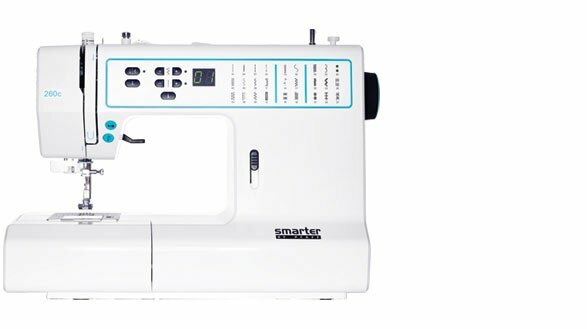 You'll love the easy select system, which lets you choose from the wide variety of quality PFAFF stitches with just a touch of a button. And don't forget the original IDT System - only available from PFAFF! 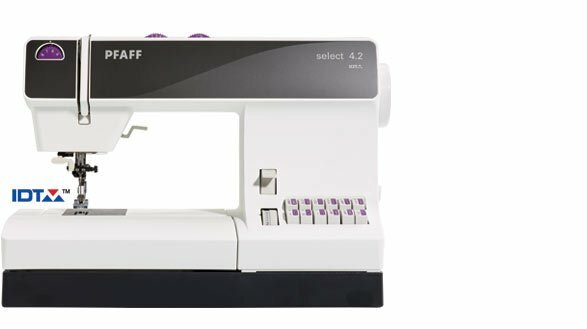 Get acquainted with the PFAFF select line. You'll want to start sewing - we guarantee it! I am bold. As Oscar Wilde said: "Be yourself; everyone is already taken". 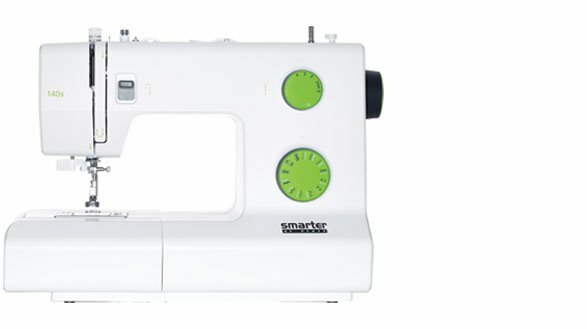 With smart features and unique design, the Smarter by PFAFF sewing machine line is up to the challenge of helping you express your individuality. Choose your favorite and it will become your must-have tool to showcase your personal style. What will you make today? Your uniqueness. Your passion. Your sewing. 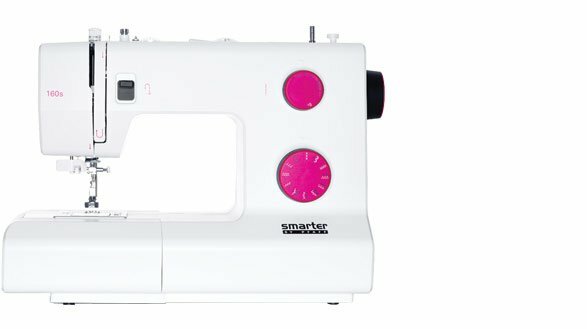 Features like adjustable stitch width, seven point feed dogs and a top loaded bobbin enhance your sewing experience. An integrated needle threader and snap-on pressure feet save time, letting you focus on being creative. 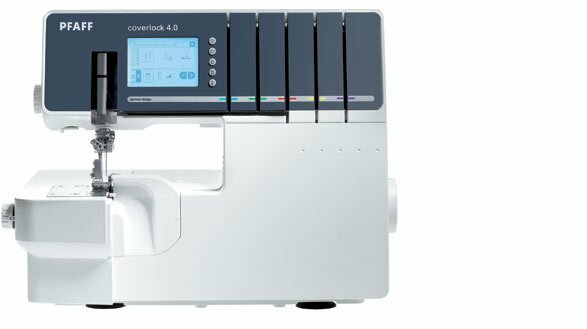 Experience the new generation of PFAFF overlock machines. Sew, trim, hem and more in a single step for a professional finish on all of your projects. Anyone who has ever seen an overlock machine in action will not want to be without one. Give your ideas the perfect finish. Create exclusive accents with decorative stitches - all this and more is waiting to be discovered at your authorized PFAFF dealer. 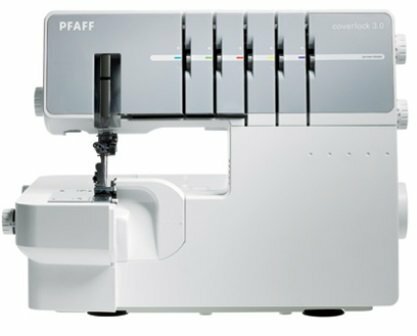 Open new horizons - discover the new PFAFF overlock machines. 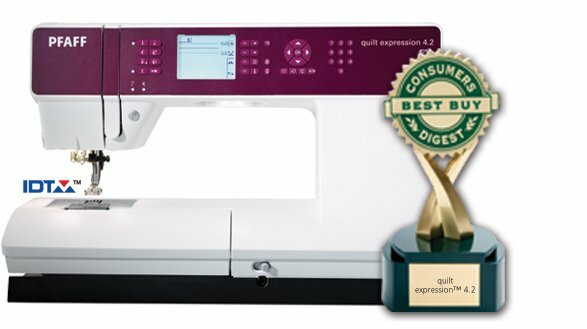 Professional quilting power in an efficient, compact machine. Your new quilt projects require free-motion quilting, but you've been struggling to fit your project in a small space. 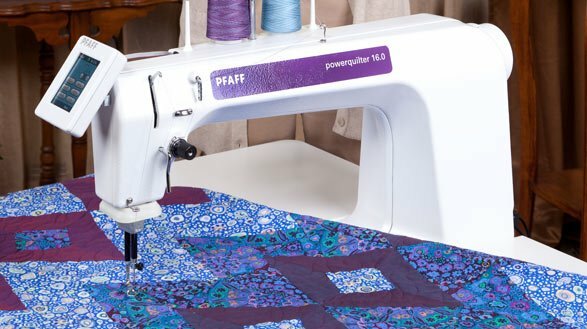 The PFAFF powerquilter 16.0 quilting machine is the perfect solution.